WILYKAT and WILYKIT explore the Ruined Temple. They move a hexagonal rock and unwittingly free MONGOR, the external image of Fear. They are scolded for releasing the monster and leave the Lair. The other THUNDERCATS set out individually to find them. MONGOR grows in power and size as he ravages the countryside. He encounters TYGRA and wraps him in a geometrical structure. He captures CHEETARA in a force field and anchors PANTHRO’s shoulder spikes into the ground. WILYKAT and WILYKIT return to the Ruined Temple and study the hieroglyphics on the rock. They learn that MONGOR needs fear to maintain his power and can be defeated if you do not look him in the eye. They tell this to LION-O. He destroys MONGOR’s power by reflecting his force fields. CHEETARA, TYGRA, and PANTHRO are freed from their constraints. LION-O no longer fears MONGOR and orders him back to his prison, which is sealed forever. 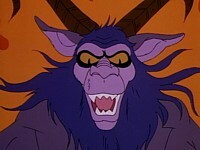 In this episode, Mongor appears as a creature who represents fear and the destructive negative elements of this emotion. Lion-O, on advice from WilyKat and WilyKit who have discovered this ancient wisdom, learns not to let fear feed on itself and become more dangerous and invincible. Using their advice, he is able to deflect Mongor’s energy and conquer the emotion. No longer fearful, Lion-O becomes invulnerable to Mongor and is able to face him and defeat him. WilyKat and WilyKit encounter fear of a different kind, a positive respect for the anger of the adult ThunderCats. Even though Snarf has to chide the ThunderCats from scolding too harshly, WilyKat and WilyKit recognize their elders’ anger is justified because of their own misdirected adventure. 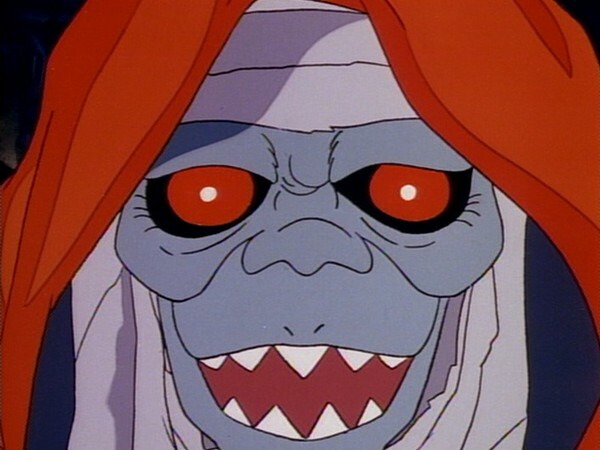 In the end, recognition of culpability and credit by both the younger and older ThunderCats bring about a reconciliation and expression of relief over the defeat of Mongor. An important capacity for children to attain is the ability to differentiate types of positive and negative feelings, such as the two kinds of fear displayed in this episode. The ability to be attuned realistically to one’s internal feelings is an important element of interpersonal sensitivity. Recognizing when an emotion is appropriate and realistic and when it is unjustified and out of proportion to reality helps children take feelings into account in their actions and behavior rather than avoiding them or being overwhelmed by them. 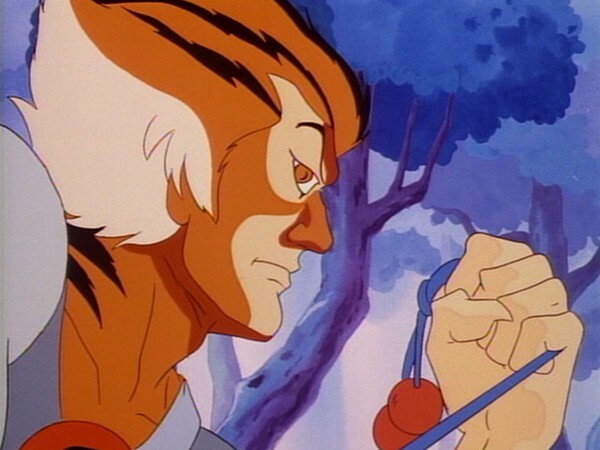 Although it could be argued that the Thunderkittens, WilyKit and WilyKat, were two of the ThunderCats series’ more annoying characters, nonetheless with episodes like this one their presence serves as a very realistic and plausible plot device, allowing a quite serious and imaginative story to unfold. 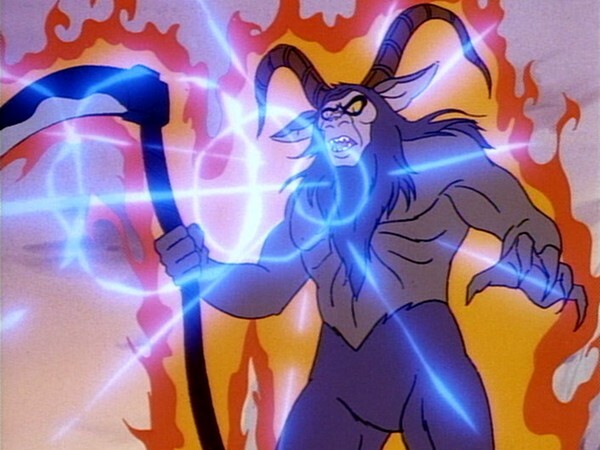 That an episode built around the concept of the ThunderCats being subdued by fear should center so firmly on the series’ youngest characters is another clever element of this episode, not least of all in the way that the ThunderKittens are able to help save the day at the episode’s conclusion. The whole construction of this episode is extremely well-executed. Rather than build up to Mongor’s appearance several minutes in, instead we are treated to his first appearance within the first few seconds of the story. 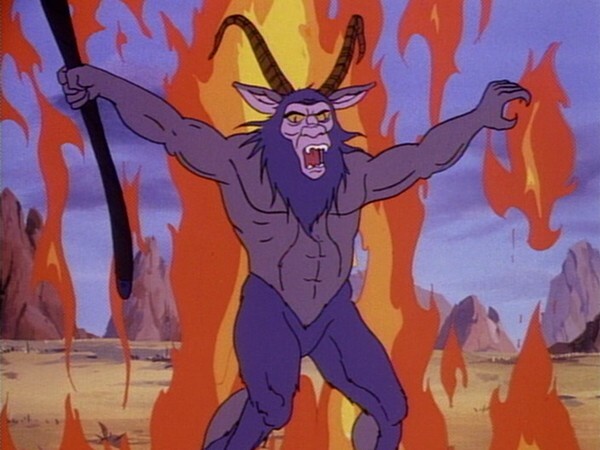 Even though his character design and overall appearance would have had to be toned down for the show’s target audience, it’s not difficult to image the somewhat satanic-looking Mongor as a creature born to breed fear. 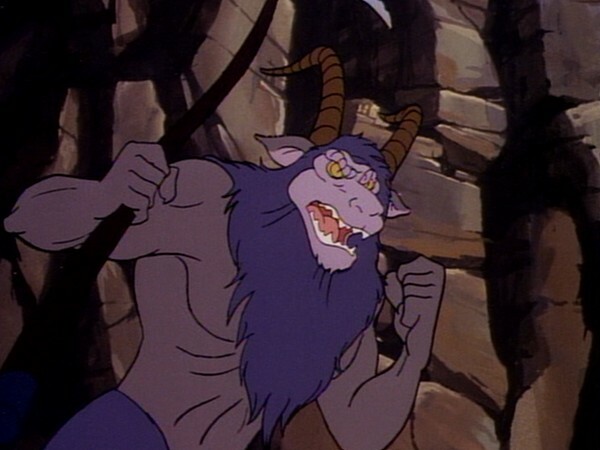 Although when looked at dispassionately he is basically just a giant, humanoid, blue-colored goat, his fearsome expressions and body language, coupled with his character design, make for a formidable-looking character indeed! 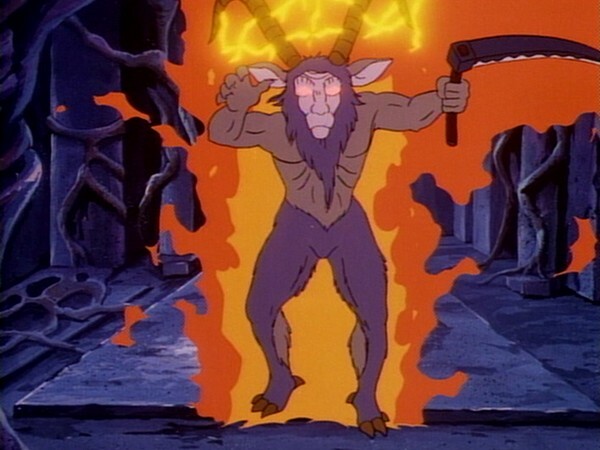 Obviously the ThunderCats that this episode focuses on the most are WilyKit and WilyKat. Whilst in some cases, particularly later in the series, this focus would actually weaken an episode, in the case of “Mongor” it actually makes it stronger. 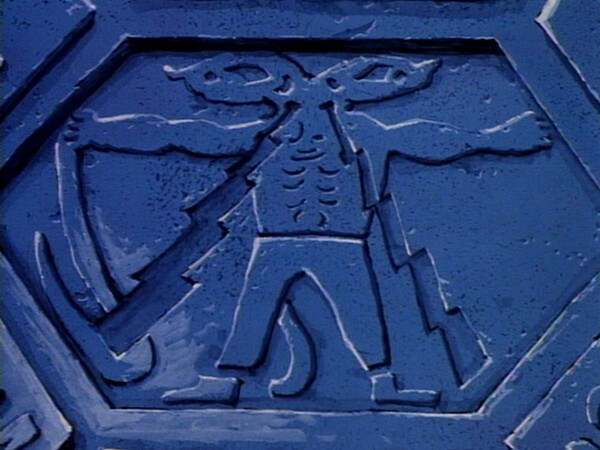 One of the most clever plot elements of this episode is how writer Peter Lawrence successfully uses the ThunderKittens’ curiosity to both unleash a threat and—once the other ThunderCats are subdued by that treat—help to save the day, thus rectifying their mistake. This also sends out a message to the show’s young audience that bravery is not a thing exclusive to adults. 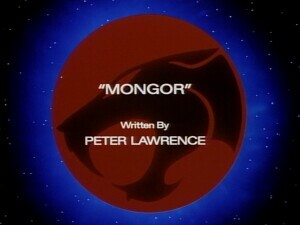 Rather, it is the bravery of the show’s youngest characters that enables Lion-O to defeat the threat of Mongor. The dialogue in this episode is full of contrasts. 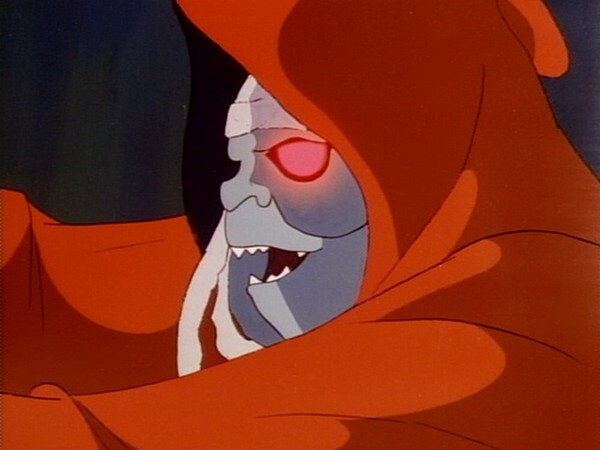 Where some of the ThunderCats’ dialogue feels slightly forced when they are shown interacting with each other, Mongor himself is given some highly eloquent and emotive dialogue that really helps to compliment his fearsome presence. The animation in this episode is also something of a mixed bag, with some really beautiful and memorable shots and scenes mixed in with some somewhat flat-looking animation. 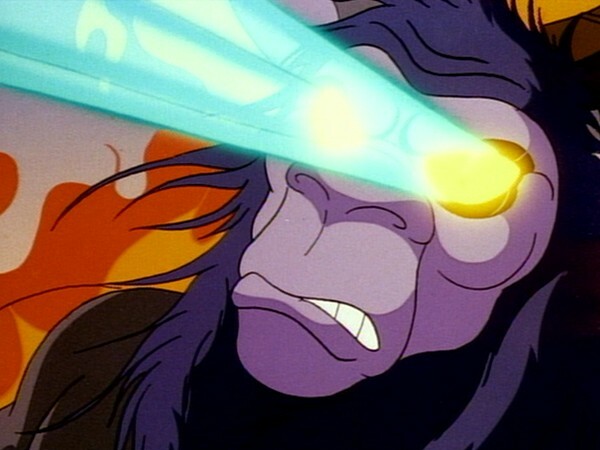 However, these minor flaws are overshadowed by what is a great, creative story, with a visually striking and highly memorable guest character, and as such this episode comes recommended! Mongor is one of only three characters to be released in action figure form by toy company LJN after just one appearance in the series, the other two being the Astral Moat Monster and the Tongue-A-Saurus. Even though Mongor’s cartoon appearance is somewhat slight in build, his action figure was made bulkier and more substantive in appearance. 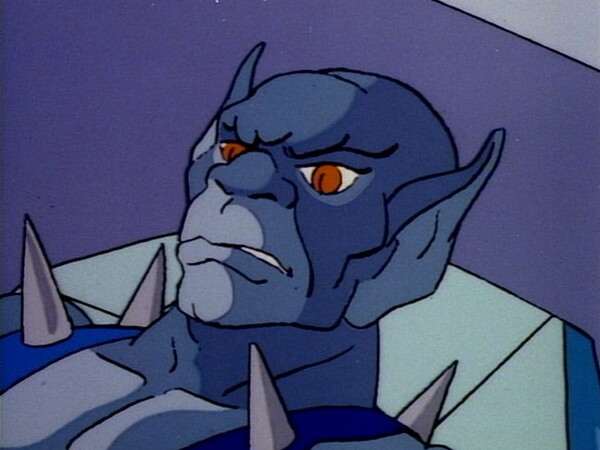 This episode is one of the few to feature Panthro using his shoulder spikes. Sadly, Mongor winds up using them against him! 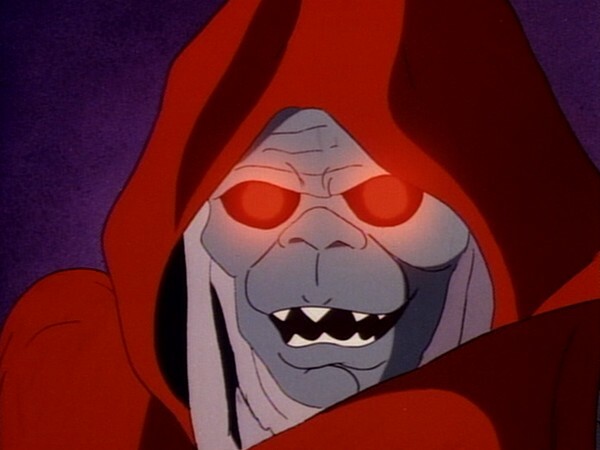 Mongor reaches out telepathically to Mumm-Ra, referring to himself as the demon priest’s “servant”, and Mumm-Ra claims to have been searching unsuccessfully for Mongor’s prison for three centuries.